Prolopuncture is an injection of B12 and dextrose in Acupuncture points. Prolotherapy is similar to Prolopuncture; however, the injections are made at Acupuncture points with Prolopuncture. Prolopuncture helps your body make new cells and fibrous tissue to help repair soft tissue injuries in joints. The name “prolo” comes from the proliferation, rapid growth or reproduction of new cells, of fibrous tissue and “puncture” because of the use of Acupuncture points. It will also strengthen lax or partially torn tendons and ligaments. The all natural products in the Prolopuncture medicine cause the existing soft tissue to make fibrous tissue. This fibrous tissue will mend tears in soft tissue, tendons, ligaments, labrum, meniscus, and cartilage as well as thickening the soft tissue. The process of thickening soft tissue and creating fibrous tissue will prevent bones from touching, which decreases pain. Western Medicine encourages healthcare providers to prescribe painkillers, which only mask the pain until the joint becomes bone on bone. At that point, the only option is artificial replacement. Prolopuncture consists of using a fine needle to inject an all natural solution into tendons, ligaments, labrum, meniscus, cartilage, and joints via the Acupuncture points. The substance used is called Dextrose, a kind of sugar, and B12. The injection stimulates new growth and repair, thereby promoting joint stability, mending repairs, thickening degeneration and reducing pain. When injected into the torn tendons, ligament, labrums, meniscus, cartilage or joints, the Dextrose solution induces a physiological reaction that stimulates the healing processes to resume and induces the migration of fibroblasts (the body’s repair cells) to the site of injection. Fibroblasts lay down new connective and fibrous tissue and in so doing, enlarge and strengthen the damaged tendons, ligaments, labrum, meniscus, and cartilage. Prolopuncture injections are performed with a lot of care and with the thinnest needle. The pain of treatment is minor and temporary when compared to the chronic pain of tendon, ligament, labrum, meniscus, cartilage, and joint injuries. What Kinds Of Injuries Respond To Prolopuncture? Soft tissue injuries (cartilage, ligaments, meniscus, and labrum) are the most common injuries often encountered in sports, auto, household, and work accidents. These injuries produce chronic pain in the hands, elbows, shoulders, hips, knees, and feet. The majority of these injuries heal through the body’s own internal mechanism of producing inflammation which triggers the proliferation of fibrous tissue that mends the damaged areas. Which Patients Benefit From Prolopuncture? Patients who will benefit from regenerative soft tissue growth are those who have pain referred from ligament, meniscus, labrum, tendon or joint injuries. 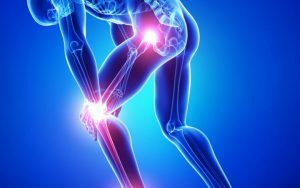 A history of prolonged pain, positive signs of pain on palpation of the tendon or ligament, pain on movement of the joint, cases who are not responding to re-alignment treatments and patients who have been unable to resume their pre-injury activity level all are appropriate candidates for Prolopuncture. The healing process is a lot less painful and less time consuming compared to an operation or joint replacement. Therefore, unresolved injuries with pain persisting for over four weeks are excellent candidates for Prolopuncture. Who Is A Good Candidate For Regenerative Soft Tissue Growth? There are many forms of arthritis, the most common being osteoarthritis. Osteoarthritis is the gradual degeneration of joint surfaces, caused by overuse and under repair. Over time, this wear and tear of the cartilage progress to the point that the cartilage is worn thin and pain results. Degenerative joint disease can progress to the point where the patient needs a total hip, knee or shoulder replacement. Prolopuncture has been proven to reverse the degeneration of joints when the condition is treated early enough. If there is no soft tissue left in the joint the Prolopuncture will not work. The patient is recommended to get an MRI, no older than six months, to determine if any soft tissue remains at the joint set. What To Expect From A Course Of Prolopuncture? On your initial visit, Dr. House will review your health history and perform a physical exam specific to your condition. He will also review your prior medical records, including X-rays, CAT scans, and MRI reports, if available. Once the location and nature of the injury are confirmed, a course of Prolopuncture therapy can be prescribed. The usual threshold for improvement is 10 to 12 sessions of Prolopuncture. Most patients consider the pain of Prolo injections to be significantly less than the chronic pain of their injuries. All patients are encouraged to moderate their activities for 24 hours following each session, after which they can resume normal physical activity. Pain following the injections is usually short term. Occasionally, a few doses of Tylenol may be recommended to ease post injection pain. The response to treatment is cumulative, with benefits compounding with each treatment. Remember, the treatments take 10 to 12 weeks and further injections may be required to promote the healing of badly damaged joints. A booster shot will be needed anywhere from six months up to two years, depending on each patient. The booster is to keep the soft tissue healthy, thick, and prevent any further soft tissue degeneration. ” It is easier to prevent disease than it is to cure diseased joints.” Dr. House likens it, to resoling of one’s shoes before they are worn down to nothing. How Many Prolopuncture Injections Are Required? The duration of treatment is dependent on the extent and location of the injury, as well as the age, immune status, and nutritional reserves of the patient. Typically, it can take anywhere from 10 to 12 weeks for treatment. Generally, athletes with good nutritional reserves heal the fastest, largely because they have greater circulation and muscle tone to assist the healing response. In these people, pain can be relieved and function restored in as little as eight weeks. Sedentary men and women with poor diets, high-stress lifestyles, and dysfunctional immune systems are slow to regenerate their connective tissues. These patients should be identified during the initial workup and appropriate steps taken to address these underlying conditions. Nutritional support with dietary changes and supplementation will speed the rate of repair. Aging joints are slower to heal because circulation is compromised, and the joint capsule connective tissues desiccate over time. Prolopuncture injections usually take ten to fifteen minutes to complete. What Are The Side Effects Of Prolopuncture? Some patients experience pain and swelling at the injection sites for 1-3 days following the procedure. To counteract this, we recommend that patients take Tylenol for pain, but not aspirin or anti-inflammatory medications like Advil or Aleve which can inhibit the healing response. Patients can also apply ice to the area for 10 to 20 minutes as needed and should avoid strenuous exercise or work with heavy lifting. After 1-3 days, apply heat to help blood flow and nutrients to the area. Heat will also help with the stiffness after sleeping and on cold & damp days. Specific stretching and exercises are prescribed after the treatment plan is complete. 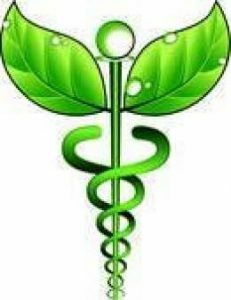 All-Natural Healing Medical Center is the Go-To place for Sarasota Prolopuncture and holistic healing. Call 941-953-3700, for a free consultation with Dr. House to see if Prolopuncture can help your joint injuries. Dr. House has helped hundreds of people from having to get surgery.